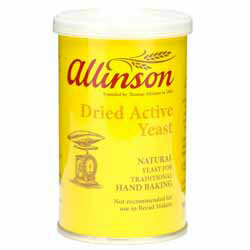 Allinson Dried Active Yeast gives a lift to your hand-baked breads. Simply reactivate it by adding water and you've got the perfect ingredient for traditional baking. If the recipe calls for fresh yeast, just replace it with half the quantity of Allinson Dried Active Yeast. 650g of flour usually requires 15g or one level teaspoon of Dried Active Yeast. Directions: In a 600ml jug, dissolve 5g sugar in 150ml warm water (1 part boiling, 2 parts cold). Sprinkle with 15g yeast and whisk thoroughly. Leave in a warm place until the surface is covered with approx. 2cm of froth (10 - 15 minutes). Whisk again and use as directed in your recipe. Allinson Dried Active Yeast can also be used for home brewing and wine making. For recipes using bread-makers, try 'Easy Bake Yeast' instead. 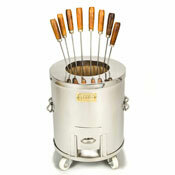 "Dear Spices of India, Received our order today; a first class service. 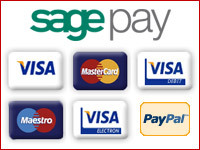 Our order was being shipped to France and arrived within 2 working days of the order being placed. The package was exactly what we ordered and was beautifully and thoughtfully packed into a single outer case. We will definately be back for more. Kind regards,"